Megan Clifford is convinced that the will of the people prevailed after a DuPage County Circuit Court Judge recently ruled in favor of Glen Ellyn residents in their long-simmering battle with developers over a parcel of land lining an historic corner along Main Street. The two sides had been locked in an intense battle since 2017 over the land at Stacy Corners, with True North Energy LLC having plans for a 59,000-square-foot, 12-pump gas station and 4,200-square-foot convenience store after village officials had approved an ordinance granting a special-use permit. 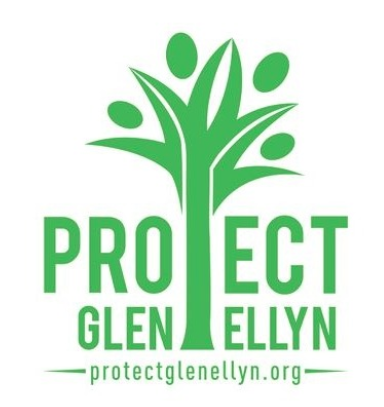 In its suit, Protect Glen Ellyn named the Village of Glen Ellyn and Ohio-based True North as defendants. In a press release, Clifford took village officials to task for agreeing to the deal. Held at the DuPage County Courthouse, the trial ran from Feb. 14 through Feb. 19. “We thank the community for the outpouring of support and look forward to continued engagement for promoting responsible development,” Clifford said. Want to get notified whenever we write about Village of Glen Ellyn ? Next time we write about Village of Glen Ellyn, we'll email you a link to the story. You may edit your settings or unsubscribe at any time.